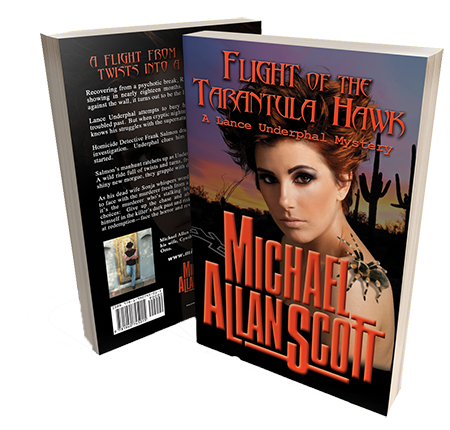 On the IndieReader Best Book list and featured on NBC’s Daytime Show, the second book in the Lance Underphal Mystery series is part of a new breed of supernatural thrillers which can be read and enjoyed in any order. Dark, different, featuring a damaged psychic, this is one of those disturbing novels that keeps you guessing. Supernatural Murder Mystery – Realtor Carla Simon has her first showing in nearly eighteen months. Recovering from a nervous breakdown, she arrives at the bank-owned foreclosure well ahead of her prospect. When her buyer pins her against the wall, it turns out to be the last house she’ll ever show. Looking for a new breed of supernatural thrillers? Paranormal mysteries of murder and suspense? Perhaps a psychic detective series which can be read and enjoyed in any order? Or maybe one of those scary books you can’t put down? Regardless, the dark, disturbing novels by Indie Author, Michael Allan Scott, won’t disappoint.